In September, Microsoft® released the first real preview of their proposed Windows® 8 platform. The Beta version of Windows 8 Consumer became available for download just days ago. Though the product is not slated to officially release for over a year, these first look at the new product is creating a stir among reviewers. In fact, the November 2011 edition of PCWorld says “The last time Microsoft made such dramatic changes to the way its operating system looks and functions, along with wholesale revisions to the underlying technology, was over 16 years ago, with Windows 95”. This is a pretty strong statement considering we have transitioned through Windows 98, Windows NT 4.0, Windows Millennium, Windows XP, Windows Vista, and finally Windows 7 since then. What is causing the stir? Microsoft has retooled their entire user interface to create a very tablet-like user interface. Much like their current Windows phone interface, everything is controlled by visual touch-based tiles. The whole look and feel is different, and even the underlying programming is different. This is part of the reason for the early preview developer’s release. They want developers to start programming their applications to take advantage of the changes. Lets take a closer look at 10 features of Windows 8, what we know about so far. Tiles. No more icons. The new “metro” interface is comprised of tiles. Microsoft refers to them as a mosaic. Each tile can provide more information than an icon, with photos, etc. For instance, the weather application displays the current weather without even opening the application. Touch and Swipe. The entire operating system is optimized for touchscreen. Tapping, swiping, and dragging with ones fingers provides smooth control over the whole environment. This OS will run Microsoft’s new slates, and tablets, but will also be their normal PC desktop operating system. So putting touchscreens on desktops may have some advantage. However, everyone will be glad to know you can still use the mouse and keyboard. Slide Side Bar. Most applications that are optimized for Windows 8 run in a full-screen mode with very little menu controls. If you want to control the application, you swipe a side bar over and a context sensitive menu appears for device control and similar features. Application and Screen Snapping. The display of tiles and features is controlled much like a tablet by swiping from screen to screen. For instance, if you have 5 applications running, you simply swipe across the screen to move from one application to then next. In addition, you can control what application appears where on the screen by swiping half way and snapping the application in place. If you are watching a movie, and want to browse the Internet at the same time, you can swipe the internet to cover ¼ of your screen and leave the movie on the other ¾. Touch Keyboard. Windows 8 includes a touch keyboard for tablet users, or for those who wish to use some other touch display. It has a “thumbs mode” for texters, who prefer to type with their thumbs. Windows Store. Many applications will be delivered through the Windows Store. It still remains to be seen how this will all play out, but Microsoft is already using the Windows Store for their phone interface. Single Sign-on Dream. Microsoft’s ultimate vision is that users would sign on with their Windows Live ID and then have access to a similar user experience across all of their Windows 8 machines. This means that whatever applications you install on your Windows 8 desktop would automatically be available from your Windows tablet, Windows phone, or laptop. It remains to be seen whether this will be accomplished in the new OS. Virtualization. For us techier users, Microsoft’s Hyper-V will be built-in, with the ability to run an entire Windows 8 install directly from a USB device. In addition, both VHD and ISO files are directly mountable without extra software. Backwards Compatibility. With all these new features, the concern might be whether old applications will work. 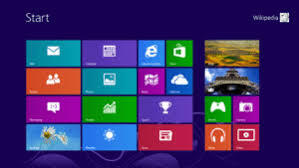 Microsoft is providing assurances that everything that will run on Windows 7 will also work on Windows 8. In addition, there might be concerns over hardware, and as of right now, it appears that Windows 8 may even require less resources than Windows 7. It is a little early to make any real judgment call about Windows 8 with the official release date unknown and not expected for over a year. There are many things we don’t know, like cost, how many different flavors, real hardware requirements, and many others. However, it is still interesting to see where Microsoft is headed, and that it is such a huge change from Windows 7. Like most reviewers, I like what I see. With the massive growth of touchscreen devices like smartphones and tablets, updating to a very touch-based OS seems like a logical path. It will be interesting to see how they deliver over the course of the next year, but this preview looks great!